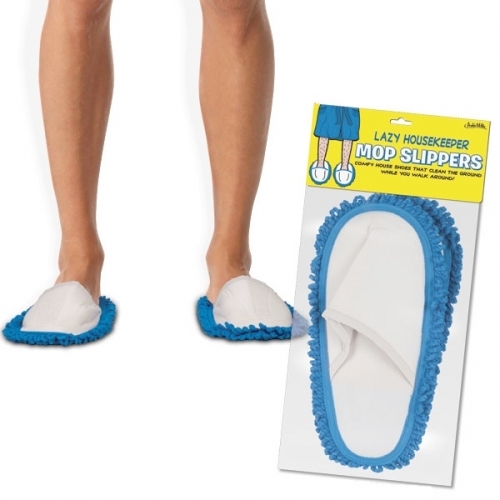 We love the Lazy Mop Slippers because bending down to clean up a mess is lame, and using an actual mop is what fraternity pledges are for. Brave souls strap mops onto their feet and skate up their mess like its Disney on Ice. 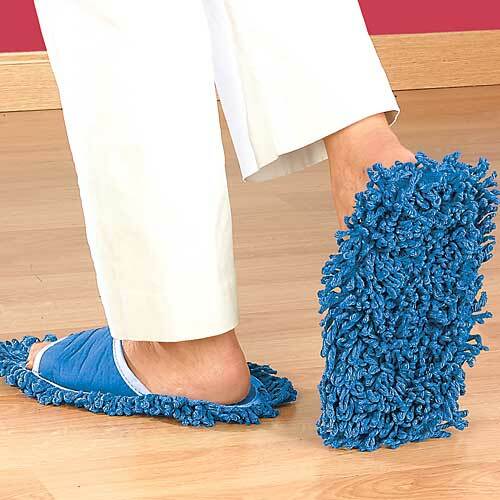 At first, we bought this as a gag gift for my mother who is a clean freak. She actually says that it works! So, being a busy mother as well; I bought a pair and use them all the time.